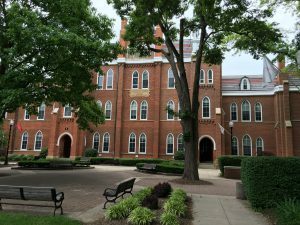 Founded in 1847, Otterbein University, historically a liberal arts college, boasts a number of top notch professional programs as well. Nestled in the quaint suburban village of Westerville, Otterbein offers signature programs in Theatre, Zoo & Conservation Sciences, and Equine Science. They also offer solid programs in Nursing, Education, and several sport-related majors. 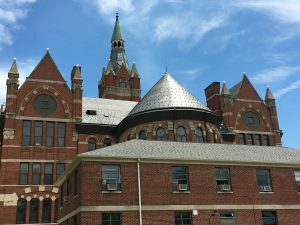 Most recently, Otterbein migrated into STEM offerings including a new major in Systems Engineering and Mechanical Engineering (new for fall, 2017). Their Engineering programs are housed in the new STEAM (Science, Technology, Engineering, Arts, and Math) Innovation Center. If you visit, check this out! 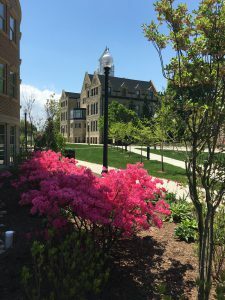 In addition to academics, Otterbein provides students a comprehensive set of co-curricular opportunities including an active Greek and residence life, NCAA Division III varsity athletics, intramurals, and over 100 student organizations. About the Author: After touring 60 of the best colleges in Ohio, Dr. Jay, a prior faculty member and dean, founded College Bound Advantage (CBA); a Columbus Ohio college consulting firm. CBA specializes in helping families optimize college selection around 15 “fit factors.” College Bound Advantage serves all of Ohio including Cleveland, Akron, and Cincinnati metro areas. Here at CBA, our journey around Ohio’s colleges began last May and our first institution visited was Baldwin Wallace University (BWU). We loved it then and we love it now! Baldwin Wallace University is a gem of an institution! 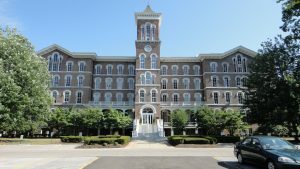 It is located in a suburban park-scape near Cleveland, Ohio – close enough to take advantage of all the entertainment, shopping and internship opportunities of a large city, while nestled in the quaint town of Berea. 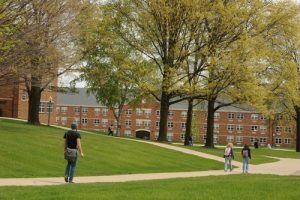 While BWU retains its long-term commitment to the liberal arts, they offer a number of strong professional programs including those in Business, Nursing, Communication Sciences & Disorders, Sport Management, and Software Engineering. Music and the performing arts are particularly strong at BWU. With one of only five Conservatories of Music in Ohio, BWU is nationally known for their fine music offerings including Music Performance, Music Theatre, and Music Education. The Theatre and Dance Department offers several options including Acting/Directing, Design, and Stage Management as well as a minor in Dance. Finally, they boast one of the best undergraduate Neuroscience programs in the country as well as strong programs in Biology, Chemistry, and Psychology. With over 120 student organizations, Division III athletics, and an active Greek Life, there is also plenty happening on campus. We love BWU and believe you will too! 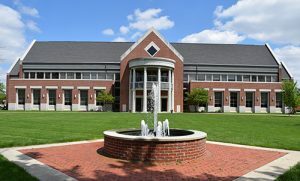 Wittenberg University is a private four-year liberal arts college in Springfield, Ohio serving 2,000 full-time students representing 37 states and a number of foreign countries as well. With an emphasis on the liberal arts, an active Greek system, varsity and intramural athletics, and plenty for students to do on campus, Wittenberg has a lot to offer. The most popular majors at Wittenberg, however, are not in the liberal arts. They are found in Business (majors in Accounting, Management, Marketing, Entrepreneurship, and Finance), Education (licensures in Early Childhood, Middle Childhood, and Intervention Specialist), and Biology (Pre-Med, etc.). Students also say that they have good programs in Communication and Theatre. The minor in Marine Science is unique, with many students taking a field trip or studying for a semester at the Duke University Marine Laboratory. In 2010, the journal “Princeton Review” ranked Wittenberg 11th in the nation for “Best Classroom Experience”, and 15th in the nation for “Professors Get High Marks”. In addition, Princeton Review ranked the college’s campus the 18th most beautiful in the nation in 2009. Academic Programs: Wide variety of Transfer and Technology (go to work) Associate degrees including offerings in various Business areas, Criminal Justice, Information Technology, Wildlife Conservation, and various Engineering Technology areas including Oil and Gas Engineering Technology. View our video on how College Bound Advantage can partner with you and your family in your college search. We can help you save money, avoid land mines, and optimize your college choice: https://www.youtube.com/watch?v=J6SSjHp8n98 . 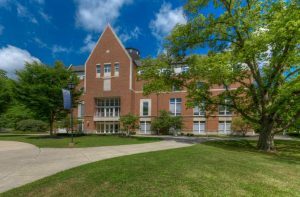 Point of Pride: NDC boasts the Academic Support Center, one of only five programs in Ohio designed to support learning challenges such as light autism, ADD, and ADHD. They have solid metrics and we love the ASC! Among other things they are known for: Broad program options in Music and Ministry as well as Business and Nursing. 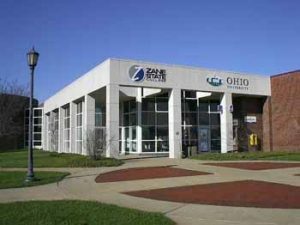 Point of Pride: Only Ohio “passionately” Christian college located in a large city (Canton). Students hail from 40 denominations; predominantly Protestant and Catholic. Ask us about: The McMaster School for Advancing Humanity as well as the ASD Affinity Program that provides comprehensive services supporting students with autism spectrum disorder (ASD). Signature Programs: Ashland has always been known for its strong Education Program which is one of the largest among independent and state institutions in Ohio. They also have a strong Nursing Program with a new, State-of-the-Art Nursing campus in Mansfield. Stand Out Programs: Ashland also has strong programs in Business (ACBSP accredited), Fashion Merchandising, Toxicology, Forensic Chemistry, Geology, Environmental Science, as well as Commercial Art. 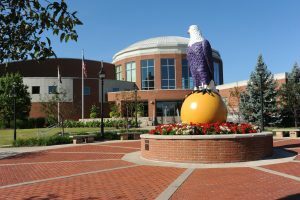 Outside the Classroom: Ashland offers over 100 student clubs and organizations, beautiful workout facility, vibrant NCAA Division II varsity athletics, an active Greek system, and an ongoing stream of campus activities. Point of Pride: The “Convo’s” great food!